Villa Ermelinda, originally “Villa Braschi”, used to have the name of the famous family of lawyers that built it during the 40's. At the beginning, the mansion had much similar structure to the present one, it was laid out on three floors: the upper floor housed the bedrooms, the ground floor was the one with the kitchen, the main living room and the lawyer's study, while in the basement was used as cellar and recreation area. The property was not fenced and used to be a whole with the pine forest and the surrounding areas, not yet developed at the time. The wide park of the Villa was an area of important environmental value, so much to be included in the Baveno town plan as green area of particular interest. Still today its centuries-old trees, among which an impressive specimen of pendulous beech stands out, and the important width of the property make it one of the most prestigious parks of Lake Maggiore. 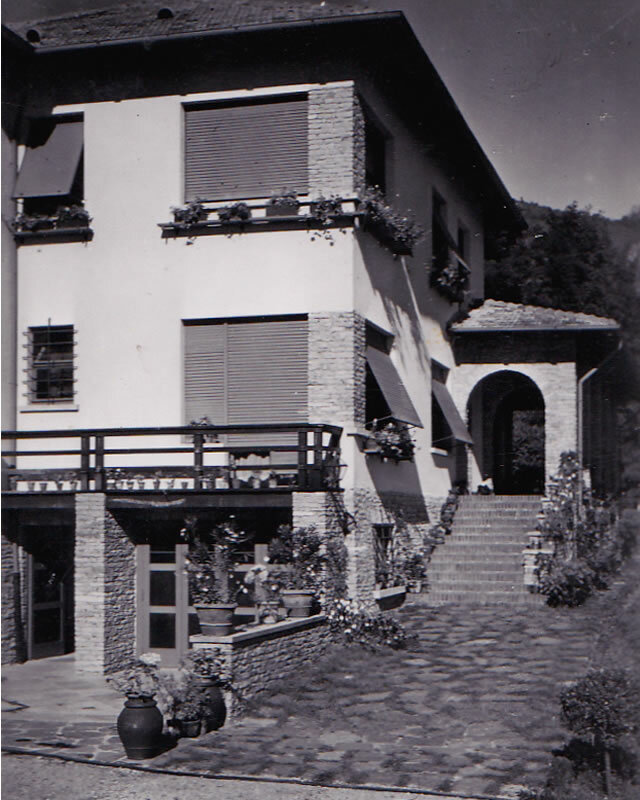 The Braschi family used to stay in Villa during the hot summer months, when the city became less hospitable, while the lake environment offered coolness and tranquility. 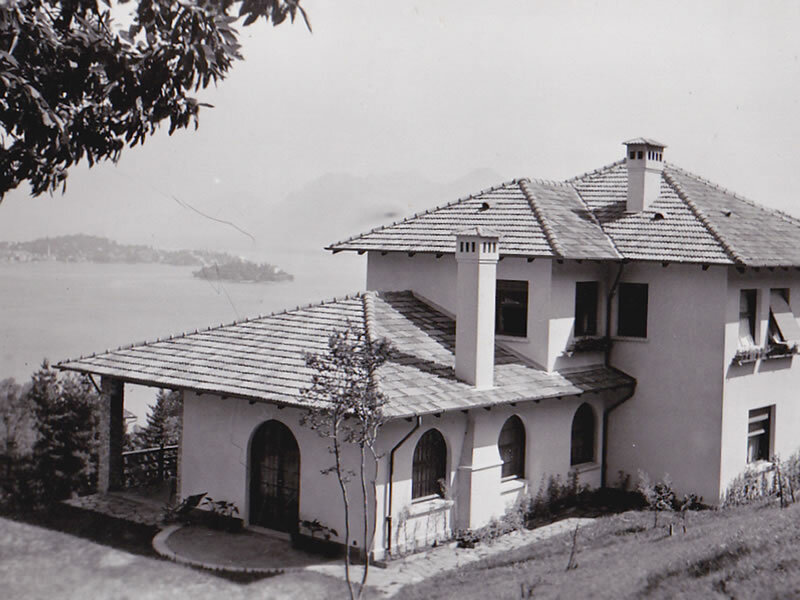 At their service they had a Baveno family that used to stay all year long in the keeper house, sited inside the park that is now the private house of Villa Ermelinda's owners. The keepers used to take care of the maintenance of the mansion and of the garden during winter time, extending then their services as housekeepers during the stay of the Braschi Family. Still today the children of the then-keepers are pretty affectionate to the Villa, background of their childhood, and thanks to their heartfelt memories and stories it was possible to build back part of the house history. During the World War II, Milan was not a safe city, being a point of strategic interest, therefor more vulnerable to bombings. This particular circumstance brought the Braschi Family to move permanently in Villa, or at least until the end of the hostilities. During this period of time they hosted their dear friend Indro Montanelli, an influential Italian Journalist and founder of the famous newspaper “Il Corriere della Sera”. The property was put on sale from the Braschis in 1979, and then bought by the surveyor Manoni Marte, a businessman that lived here until his death, in 1988. After a period of neglect one of his children, after renovating the former house of the keeper, bought the remaining quotas from the brothers and in October 2013 he started the works of renovation to bring the Villa back to its former glory.